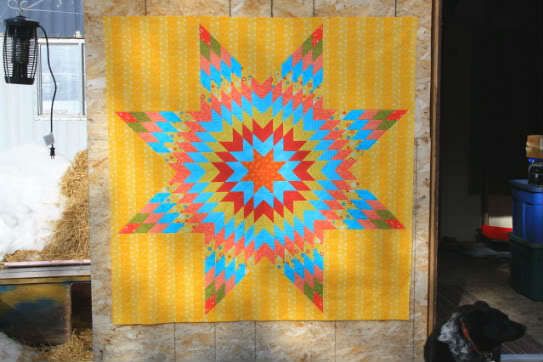 I am planning a Lone Star variation using many shades and colors of semisolid fabric. I vaguely remember hearing or reading advice about what to use for the center, something about too light (or was it too dark?) looking like a hole in the middle of the quilt. Does anyone know if it is true? Thank you. Look at some of these and see what appeals to you. I think I'd prefer a darker center. I went back and looked at the two I made and I made each with a darker centre. It was just visually pleasing to me. I think it made the centre more solid to me...I'm sure I had some sort of reason when I laid out my fabrics. One of the books that I have on Mini Lonestars mentions that putting a darker color in the center helps to hide seams that don't quite match. 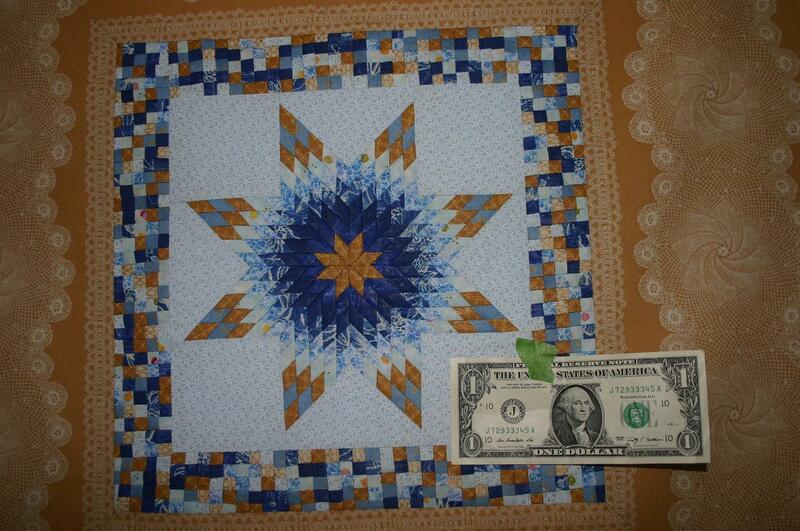 Ohmygosh Sue I love the teeny tiny lonestar....you know I have to make one now.BTW, love how the blues sort of look like ice crystals breaking up. I am so impressed by those of you who make these tiny little quilts, but that is almost overridden by the question: "Why? Are y'all crazy?!!" Lands a mercy!!! Sue - your mini-Lone Star is gorgeous and beyond belief!!! Thank you for the advice. 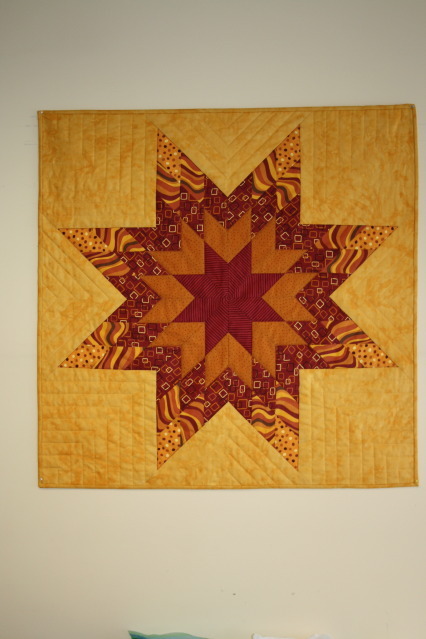 Those quilts are all stunning...what an inspiration!